Very good. All orders are shipped with a USPS tracking number. Book has an unclipped dust cover. First Class Customer Service, Orders Handled Promptly. No writing or markings in book. This is NOT an ex-library. This item is too heavy to ship international. Very Good. 0521462029 Dust jacket edges show some scuffing and rubbing. All orders ship next business day! This is a well used book and shows signs of use. The book has no markings on pages. The cover has moderate wear. The pages have moderate wear. The spine is in good condition. We are a small company and are always very thankful for your business! Good. 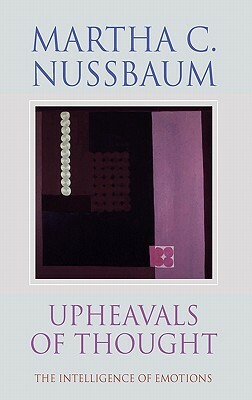 0521462029 TITLE: UPHEAVALS OF THOUGHTAUTHOR: NUSSBAUM, MARTHAISBN 10: 0521462029ISBN 13: 9780521462020BINDING: Hardback with Dust JacketPUBLICATION DATE: 2001PAGES: NADESCRIPTION: Used book in good or better condition.